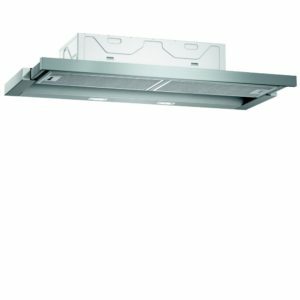 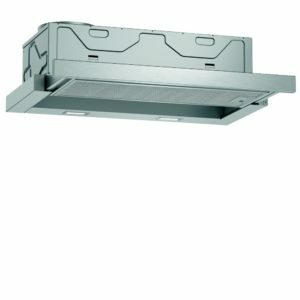 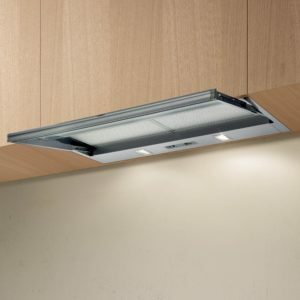 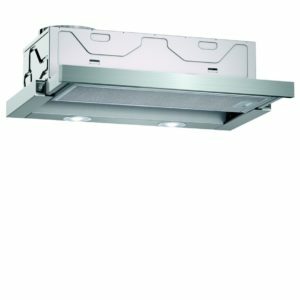 This superb 60cm wide telescopic cooker hood from AEG has a maximum extraction rate of 370m³ per hour. 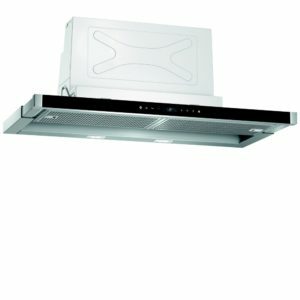 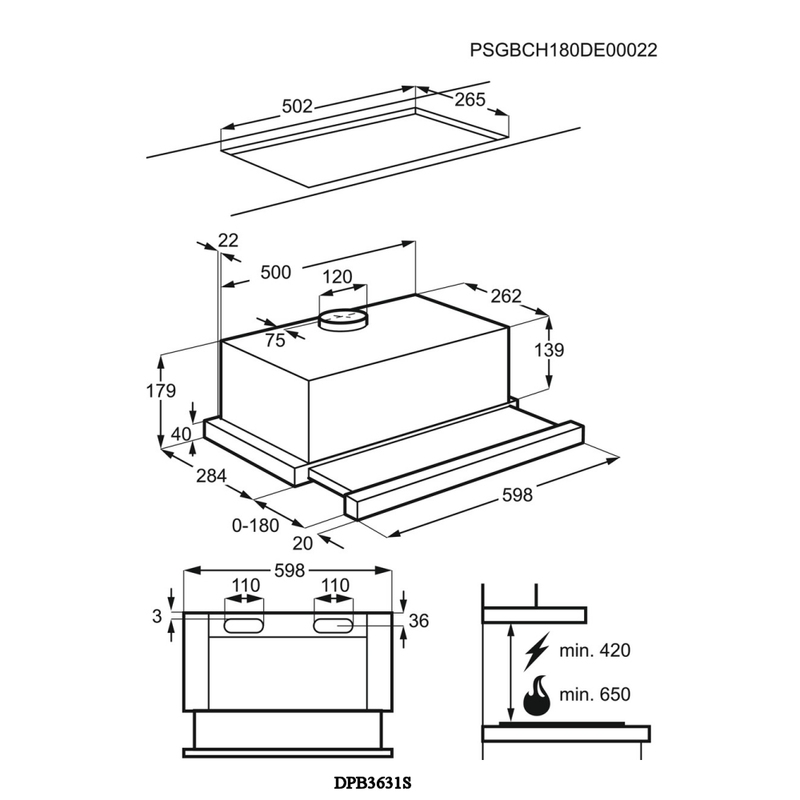 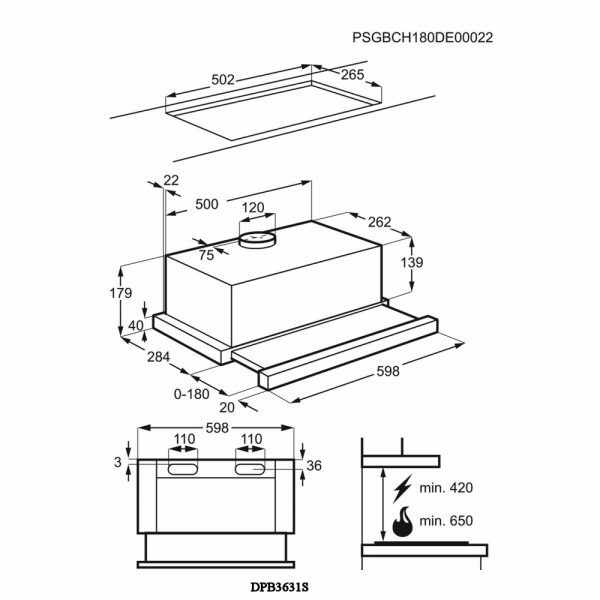 Designed to be fitted into built in units above the cooker, the discreet design means that you can easily slide out the hood to activate the extractor and slide it back in when the extractor is no longer in use. 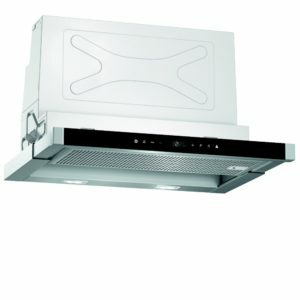 The easy to use electronic controls allow you to adjust the speed of the extraction as well as alter the lighting. 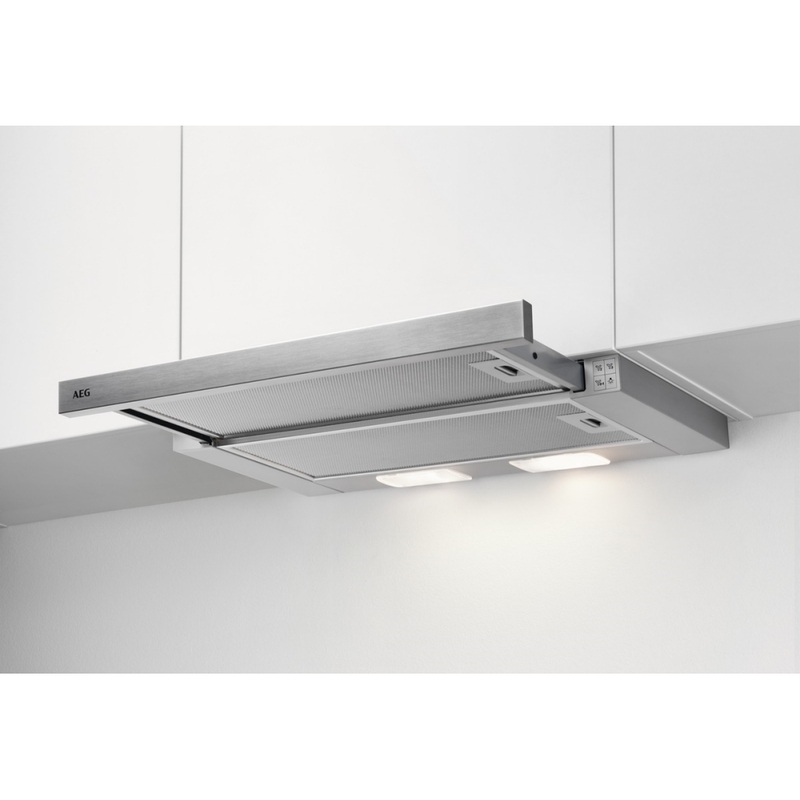 There are three speed settings to choose from and LED lighting allows you to illuminate the cooking area efficiently and cost effectively. 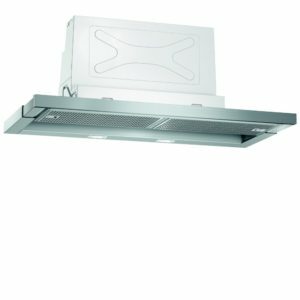 The two aluminum grease filters are removable and can be washed whenever it is required. 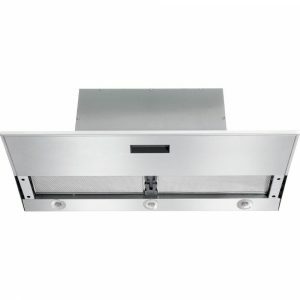 Finished in stylish silver this AEG cooker hood would be an ideal addition to your kitchen.